Crowdfunding is not a new concept in Indian Cinema. Back In 1976, filmmaker Shyam Benegal made the movie “Manthan” by collecting Rs 2 each from lakhs of dairy farmers in Gujrat. This movie won National Film Award for Best Feature Film in Hindi and National Film Award for Best Screenplay. 500,000 farmers of Gujrat funded this movie to make it the largest count of individual investors for a movie. Isn’t this inspiring? 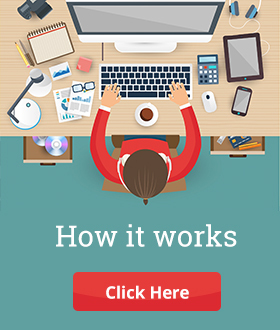 It inspires us to think about the potential of crowdfunding as a platform to bring dreams to life. The idea does not limit itself to justfilmmakers, but it is applicable for anybody with any idea or zeal. There have been many more dreamers in the film industry, other than Shyam Benegal, who ventured into the world of crowdfunding to bring their dream projects on the screen. Not very far in history, director Onir (Anirban Dhar) used crowdfunding platform to raise Rs 1 crore which was equivalent to one third of the total budget for his film “I AM”.The movie received national awards in two categories and set a precedent for Indian filmmakers to explore the world of crowdfunding. 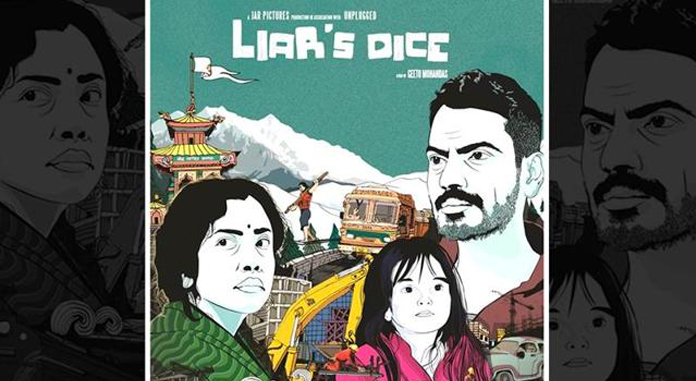 Liar’s Dice This film, written and directed by Geetu Mohandas, has Nawazuddin Siddiqui and Geetanjali Thapa in lead roles. The film explores the problems with migration to cities and exploitation of laborers through the story of a mother living in a village whose husband goes missing after having to travel in search of work. The film had its world premiere at the Mumbai Film Festival in the year 2013. This film was screenedat Sundance Film Festival and International Film Festival Rotterdam, in January 2014. The film received two National Film Awards, including Best Actress for Geetanjali Thapa and the Best Cinematography for Rajeev Ravi at the 61st National Film Awards. The film was India’s official entry for the Best Foreign Language Film for the 87th Academy Awards. The film was shot on a low budget and was completed in a month’s time. Khosla Ka Ghosla The comedic movie was the directorial debut of Dibakar Banerjee. The film revolved around a middle-class family from Delhi that falls in the trap of land mafias and comes out successful. This movie had veteran actors like Boman Irani, Anupam Kher, Praveen Dabas, Vinay Pathak, Tara Sharma and the late Navin Nischol. The film is written by Jaideep Sahni,whose previouswork included Company and Chak DE! India. The movie was made on a budget which was less than Rs 3 crores and went ahead to collect approximately Rs. 8 crore on box office. It was remade into Tamil in 2008 as Poi Solla Porom. Khosla Ka Ghosla went on to win National Film Award for Best Feature Film in Hindi for the year 2006. 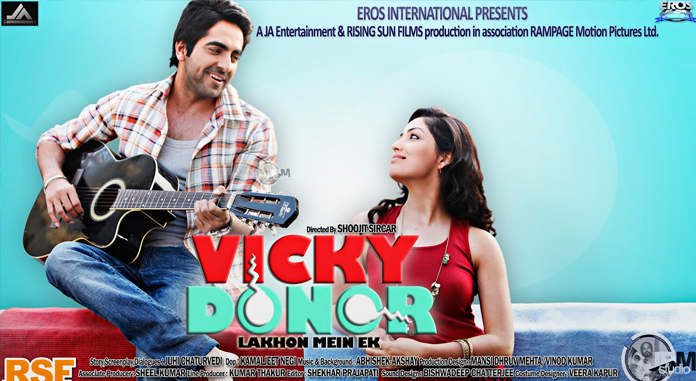 Vicky Donor This Indian romantic comedy was released in 2012 and directed by Shoojit Sircar. The movie was made under a budget of Rs. 5 crores. The movie became popular as it is known to be the movie that changed the way Bollywood looks at small budget films, as this low budget movie went on to collect Rs 65 crores on the box office.The film featured newbies Ayushmann Khurrana and Yami Gautam and also had Annu Kapoor and Dolly Ahluwalia in lead roles.The movie was about the sensitive topics of Sperm donation and infertility and hence, made it big and remained afloat for longer than expected. The film won National Film Award for Best Popular Film Providing Wholesome Entertainment at the 60th National Film Awards. The movie made 700% profit at the box office. So much for low budget success. Titli Titli is written and directed by Kanu Behl and stars Ranvir Shorey, Amit Sial, Shashank Arora, Lalit Behl and Shivani Raghuvanshi. This movie showcases the essence of volatility of a society where violence lies uneasily just below the surface. This movie premiered in the Un Certain Regard section of the 2014 Cannes Film Festival. The film was released in India on October 30, 2015. 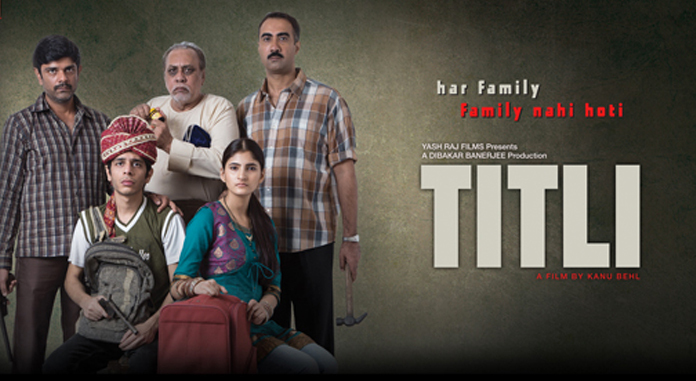 Titli went on to win Best Film at Seattle South Asian Film Festival and many other international awards. The film collected Rs 1.75 crore in its first week. 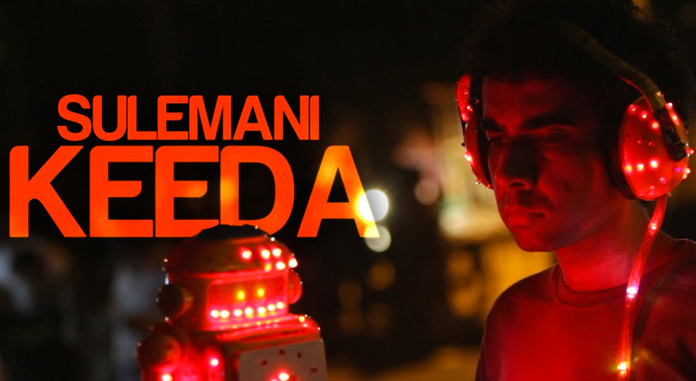 Sulemani Keeda Sulemani Keeda is a slacker comedy that is directed by Amit V. Masurkar and produced by Tulsea Pictures. It was first screened at the Mumbai Film Festival in 2013. The movie features Naveen Kasturia, Mayank Tiwari and Aditi Vasudev as protagonists and is about two budding writers and their dream of winning the ticket to Bollywood with their movie script named Sulemani Keeda. 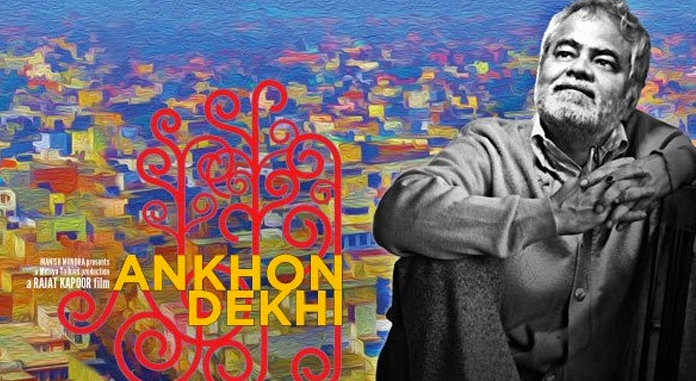 Aankhon Dekhi Aankhon Dekhi is a 2013 Indian drama film that is written and directed by Rajat Kapoor and stars Rajat Kapoor and Sanjay Mishra. This was the opening film at the 8th Annual Mosaic International South Asian Film Festival 2014. The film won Best Supporting Actress for Seema Pahwa and Best Story and Best Ensemble Cast at the 2015 Screen Awards Ceremony. The film tells the tale of a man in his late fifties, who after a chain of events decides he will only believe what he sees through his own eyes and not be brought over by hearsay. The movie received great critical acclaim. BA Pass B.A. Pass, a 2013 Hindi neo noir film was produced by Narendra Singh, directed by Ajay Bahl, and stars Shilpa Shukla, Shadab Kamal, Rajesh Sharma, and Dibyendu Bhattacharya in lead roles. The film is based on the 2009 short story “The Railway Aunty” by Mohan Sikka. The story revolves around the life of Mukesh who stays at his Aunt’s house after losing his parents to a car accident. Apart from his love for chess, he falls into the trap of an older woman who turns him into a boy of pleasures for other elder women, which in turn leads him into the world of heinous crimes. The movie is about hope for a better life for the protagonist and his sisters and ends at a very sad note. Movie won a lot of awards including 2014 Filmfare Award for Best Actress (Critics), Screen Awards for Best Actor in a Negative Role (Female) and Screen Award for Best Story. These seven movies hold strong in the box office, even after being low budget productions and missing famous stars and crew. 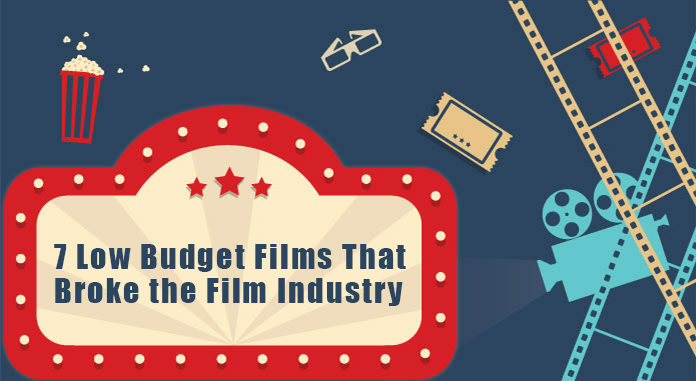 Crowdfunding lays down the path for many such films which are capable of changing the face of Bollywood and open positions for new and talented performers and thinkers to showcase their ideas on the silver screen.